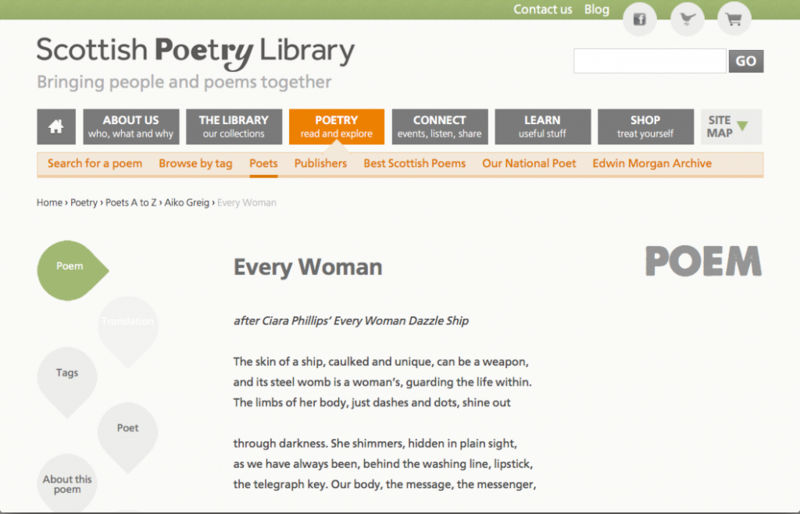 Just a quick update to big-up the Dazzle Ships project that my poem ‘Every Woman’ has been included in! 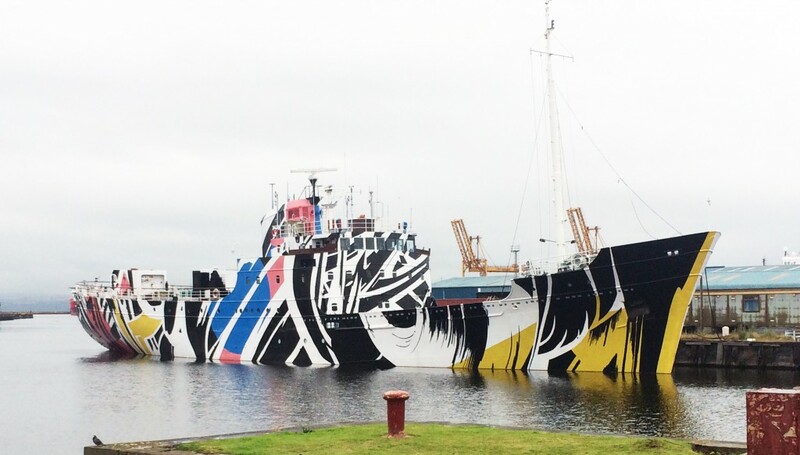 Essentially, as part of the Edinburgh Art Festival, artist Ciara Phillips was commissioned to ‘dazzle’ a ship at Leith docks in the style of warships that were dazzled in the First World War as a form of camouflage. It is an amazing piece of art, which can still be viewed (so go check it out near Ocean Terminal while you can! ), hand painted by a team of women artists, mirroring the women who painted the ships during the war. Spaces are limited but I hope you can make it if you’re in the area! And definitely have a gander of the Dazzle Ship while it is still in port. A sight to behold! EDIT: Readings of the poems are now available on Soundcloud here! Thanks Marjorie for reading mine in my absence!